The Coffee People series (interviews with influential coffee people) is back, with a force. In previous installments (here and here), we discussed coffee + design and coffee + culture. Today, we push the limits a bit further on what it means to be an “influential” coffee person, and explore the intersection of coffee and running, coffee and the mountains. Anton “Tony” Krupicka is a Boulder, Colorado-based mountain runner who has taken the trail running circuit by storm since winning the legendary Leadville 100 in 2006, and again in 2007. He is a two-time USATF 50 mile Trail National Champion and course record holder (2009, 2010), and in 2010, Tony was the runner-up in the prestigious Western States 100, a race captured in the film Unbreakable: The Western States 100. He has been a New Balance Outdoor Ambassador since 2008 and is also sponsored by Buff Headwear, Ultimate Direction, Petzl, and Zeal Optics. 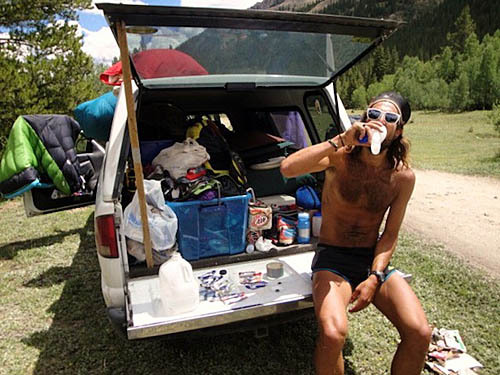 But perhaps, more than the wins and endorsement deals, Tony is better known as an embodiment of “minimal running,” summitting the peaks of “14ers” (mountains in the Sawatch Range of Colorado that have an elevation of over 14,000 feet) in just running shorts and a water bottle tucked into those shorts. For half the year, Tony is on the road, running and racing abroad or living in the back of his Chevy S-10 pickup truck “The Roost,” haunting the mountain ranges of the American West, exploring every square foot of terrain in the most sustainable fashion. Tony is also a prolific writer and photographer, regularly contributing columns to Running Times and the Ultimate Direction Blog, and jotting down his musings and grandiose photos on his beautiful website, http://www.antonkrupicka.com/. While there are many interviews with Tony, this is no race report or thought piece on better running per se. Instead, I caught up with him shortly after the Ultra-Trail du Mont Blanc (UTMB) in Chamonix to talk coffee, pain au chocolat, and of course, the mountains. Many thanks to Tony for taking the time to do this. Enjoy. A typical summer post-run scene for Tony, on the “porch” of the Roost. INL: Your typical pre-run morning routine consists of: get up, brew two shots of espresso, drink said two shots, and run. Brewing coffee in the high country can be tricky. How do you manage your morning espresso when you camp out in “The Roost,” your affectionately named white pickup? AK: First, let me clarify that I’m really not a very educated/informed/nuanced coffee consumer. And that your readership probably cares/knows a whole lot more about all of this than I do. So, I’m a Bialetti man. Sometimes I’ll do the mini, 2oz version and just add roughly equal amounts of hot water to make an Americano. If I’m looking for a little extra kick, or I’m having a particularly difficult time waking up, or I’m really into procrastinating and reading my book before running, then I’ll brew up the more standard 6oz version, and usually don’t add quite as much water then, either. This is all via a JetBoil camp stove, on the tailgate of my truck. AK: As outlined above, I’ve only brewed via the Bialetti. I’ve yet to venture into French presses or pour-overs or drip or whatever else. I have a couple of roasters here in Colorado that I’ve found myself returning to. First, my buddy Geoff Roes was home-roasting a bunch last winter and I would always get a 12oz bag from him every week or two. Since he’s moved back to Alaska I’ve gone back to the larger, local roasters (well, larger than Geoff’s garage, at least). In Boulder, my default seems to be Boxcar and occasionally Ozo. One of my favorite café’s in town, though—Spruce Confections—uses Kaladi. And I love their coffee. Never bought the beans myself, however. I actually worked as a barista at a great coffee shop in Leadville, CO, for two summers. It was called Provin’ Grounds when I worked there but has since changed ownership and its name (City On A Hill), and they now roast their own coffee, so whenever I’m up there (which is a lot), I buy their stuff. Usually their Mount Massive Medium Roast. Finally, simply because I’m a big fan of the town and this particular coffee shop, I gotta give a shout out to the Buena Vista Roastery in Buena Vista, CO. I’ve bought a few bags of beans there, too, and they were great. Not sure I have the most discerning palate, though. Tony, just another day in the Sawatch Range, this time on Mt. Elbert, the highest peak in Colorado (14,440 ft). INL: Since becoming a “full time” runner, you have had the luxury of going on (more or less) two long runs per day. In between those runs, you’re known to hang out in local coffee shops to read, rest, and catch up on the Internet of things. Do you have any favorite cafes in Boulder? If so, what makes it (them) attractive? How is the café scene? AK: I definitely have my favorite spots in Boulder. I’ve had an apartment on the west side of downtown now for a little over a year, so my routine has generally settled into Trident Bookstore and Café and Spruce Confections. Both are a five-minute walk from my front door and on Boulder’s iconic Pearl Street. If I’m looking for a change of scene, I’ll go to Ozo, basically just across the street from Trident, but it’s rarely my first choice. Spruce is attractive because it’s the classic sidewalk café. There is barely any indoor seating and the outdoor seating is excellent, with a little shaded, garden area. Even Boulder’s winter weather is typically pretty excellent (sunny), so it somehow works year-round. There is also no wifi. So, this is my default first-thing-in-the-morning-cuppa-jav spot with a friend or a book if I’m not brewing it myself on my kitchen range. They’re primarily a bakery, and their fresh scones are probably my favorite in town. They supply a lot of other cafes around town with their scones, too, but, of course, they’re never as fresh at those places. The clientele runs the gamut, but I would say is generally pretty upscale/wealthy (as is much of Boulder, generally speaking). This is not your gritty hipster joint. (Not much of anything about Boulder is very gritty, though.) And the lack of wifi mercifully keeps Boulder’s plentiful tech crowd away, too. They have live music on Sunday mornings (usually very strings- and winds-heavy and Parisian feeling). It’s a great spot. Trident is my workhorse hang-out. It’s a Boulder institution. Ample seating, wooden floors, brick walls with art hanging, connected bookstore next door, it’s probably the closest thing to an intellectual, hipster hang-out in Boulder, but definitely across all ages. Some of that at The Laughing Goat, too, down on East Pearl. Cell phones are frowned upon (you’ll be asked to step outside), conversations are generally kept fairly muted. People are totally welcome to chat and converse, and do, but the general vibe is very mellow, not boisterous and high-energy at all. Lots of books, lots of Macbooks, lots of horn rims. They serve up Boxcar coffee, and tie with Spruce for my favorite Americano in town. I do a lot of reading here, some interneting. Generally an afternoon spot for me. They don’t do any baking in-house, and their pastries are pretty limited, but they carry a couple of bars/cookies that I really like and that I don’t find any place else in that part of town. Ozo is kind of the big successful joint in Boulder. They have another location out on the east part of town. Their West Pearl location is only a couple of years old, and it has apparently stressed Trident’s business some, which is too bad. Ozo is kind of the opposite of Trident. Trident baristas serve up tough love—the default seems to be scorn and you have to earn their warmth, which is fine with me—whereas Ozo is all about customer service. Baristas are young, hip, bouncy, high-energy, and never stodgy or put-out to serve up your jav. The music is loud (and far too often tends to reggae, which grates on my nerves something fierce), encouraging loud conversations and hustle and bustle. I will read a book here now and then, but it seems to be primarily a computer hang-out, along with business meetings. Lots going on in here. They don’t do any in-house baking, so they bring in others’ pastries (including Spruce’s scones), but I think they’re pretty obviously crushing it as a roaster. There’s a lot more going on in the Boulder coffee scene. The Cup, The Laughing Goat, Jet’s Espressoria, Innis Free, Café Sole on the south side, Amante Coffee, The Brewing Markets, etc., etc., but I just don’t make it to these places nearly as often. There seems to be a fair bit of turn-over in the scene, too. I’ve lived in Boulder for five years, and in that time three different coffee shops on Pearl St (Saxy’s, Boulder Bookstore Café, Atlas Purveyors) all went out of business, and I really enjoyed all three. I think, in general, especially given its relatively small population (100,000), Boulder is considered to have a pretty hoppin’ café scene. Obviously, it’s no San Fran or Portland or even Denver, but I enjoy it. Becoming overwhelmed by the majestic sense of place of the mountains is reason enough to climb a mountain a day. Indian Peaks. INL: In terms of food, I know that you do not follow a rigid diet of any sort, besides your fair share of fruits and vegetables. I do know, however, that you are no nay-sayer when it comes to simple carbohydrates. Which café best satisfies your renowned sweet tooth? Do you have a favorite dessert? AK: Improbably, in Bouder, Jet’s Espressoria down on East Pearl does some killer baked goods. Cookies, sweet breads, etc. City On A Hill in Leadville probably has the highest number of sweet-things-I-want-to-eat. Best scones I’ve ever had. Lemon bars, cookies. Their sweet breads—particularly the vegan Pumpkin Bread—are great. Pannikin in Encinitas, CA, is probably my favorite all-around café anywhere, though. Their baked goods are out of this world. All of them. And they’re located in an old train depot. It’s an exceptional spot. If we’re talking about the single best sweet treat anywhere in the world, though, the muffins at Wooglin’s Deli in Colorado Springs are truly enigmatic. Each one is reliably incredible—especially the Cherry/White Chocolate—and despite extensive research around the world, I’ve never found anything else that compares. Most muffins are crap—spongy, cake-y blah. Wooglins’ are a transcendent experience. Finally, I spend a lot of time running and racing in Europe, and the espresso and chocolate croissants at Aux Petit Gourmands in Chamonix—pain au chocolat—are pretty much the best I’ve had anywhere in the world. Two double-shots of espresso, two pain au chocolat and I’m ready to go run in the Alps all day! 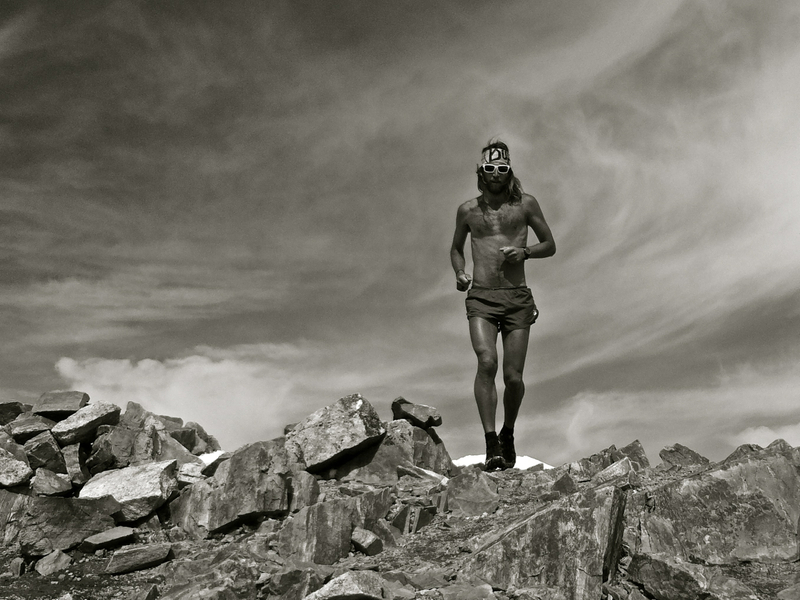 INL: You are oft-described as a “minimalist” runner – minimal gear, minimal clothes, just you and the mountain. I find that my approach to coffee is similar; minimalist coffee, no frills, no hippity hipster hipe, just quality beans roasted and brewed in a technically sound way. How is “minimalism” reflected in other aspects of your life? AK: Oh boy. Hmmm. I hate talking/writing about this kind of stuff because it’s too easy to come off as preachy. I guess I just try to prioritize the things in my life that I know will make me a happy, healthy, functioning human. I don’t have it completely figured out, and there are lots of things that I would like to improve about my current approach to the world, but if I can get up a mountain and read a good book—often with some good coffee in hand—then it’s been a good day and a lot of other things tend to fall into place more easily. 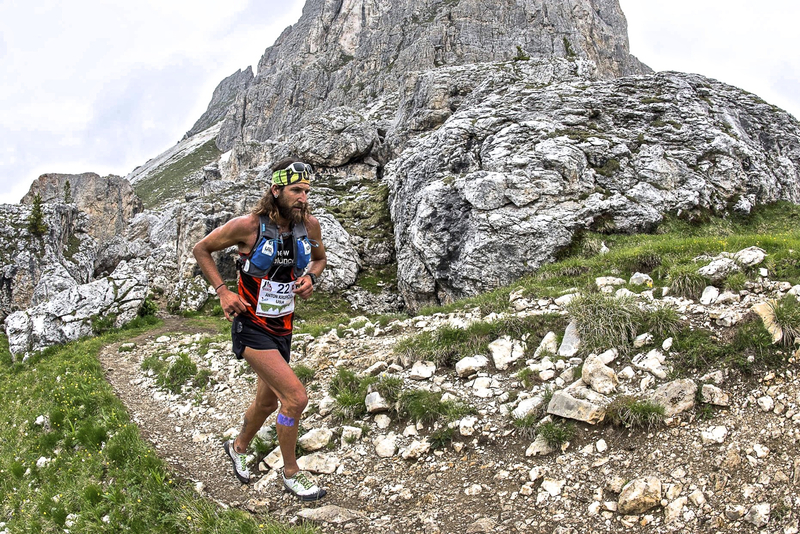 Tony on his way to a first-place finish (12:42:31) this June at the Lavaredo Ultra Trail 199K in the Dolomites of Italy. 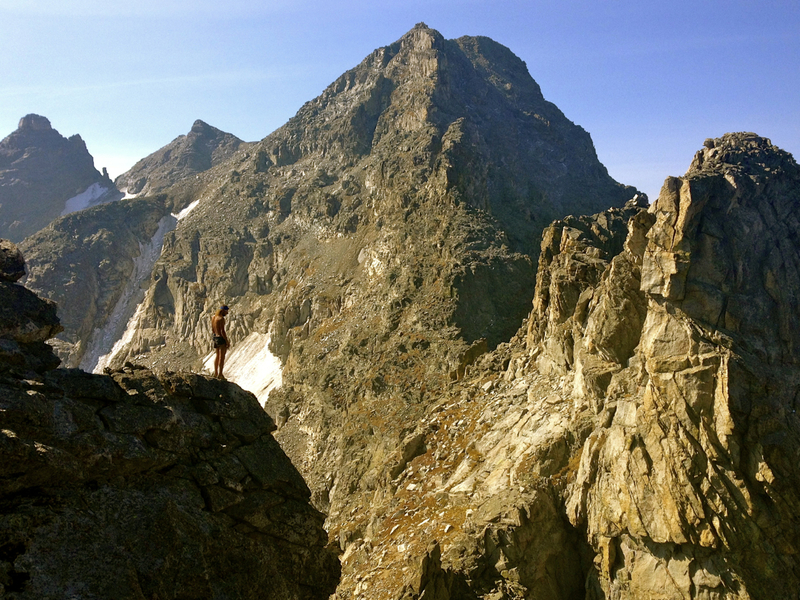 INL: You teamed with filmmaker Joel Wolpert – “The Wolpertinger” – again to write, shoot, and produce “In the High Country,” a thirty-minute impressionistic mirage of mountain and man, cliff and man, land and man. Towards the end of the film, you wrote: “When integration of self and place seem seamless . 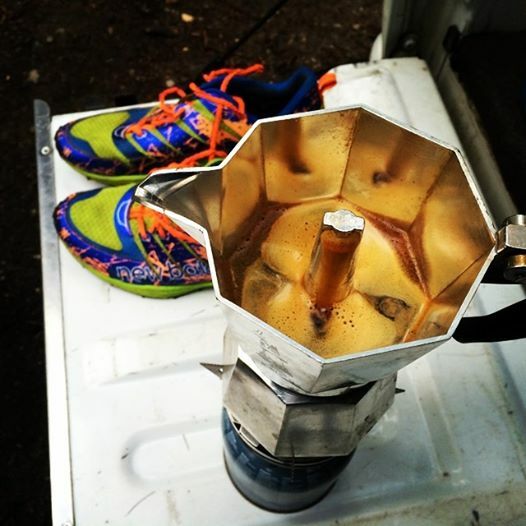 . . that is when the mountains truly become home.” Regarding coffee, I once wrote, “Coffee epitomizes the imprinting power of place.” What does trail running have to do with the sense of “place”? AK: For me, a huge part of running in the mountains is focusedly experiencing my surroundings with a higher degree of attention. Integrating myself into my surroundings in a way that requires me to tune in, be aware, be present—not tune out. If that doesn’t imbue one with a more rich, nuanced sense of place, I’m not sure what will. The thing about moving quickly in the mountains is that this kind of focus and attention almost becomes a requirement. INL: What was your thought process when you were writing the narration for “In the High Country”? What does writing mean to you? When and how does “running” intersect with “writing”? AK: The narration for ITHC was co-wrote by Joel and myself. I tend to be long-winded. I re-read a bunch of my old stuff and then wrote a typical, wordy, too-long new essay around the topics of “home” and “place”. This was pretty horrific. Joel and I put off recording the narration until the very last day of filming in Colorado because we were both pretty frustrated with where it was. Finally, in a late-night, by-headlamp session at Halfmoon Creek near Leadville, Joel took my essay and brilliantly distilled it down to a series of much more focused, terse statements. This was essentially the narration that made it into the film. The next morning, Joel and I went over each sentence word by word, together, until we were happy with it, and recorded it. In general, I’m not sure how to answer the second two parts to your question. I guess, most essentially, outside of running, writing is my most apt form of creative expression. I typically find it more frustrating than anything, but like anything worthwhile, I also feel a sense of satisfaction after I’ve put a bunch of time and effort into writing something. I suppose running and writing intersect in that, like I said before, they’re both forms of challenge and creativity for me. Like anyone who has run, I constantly experience the frustration of being out on a run and thinking of the perfect way to word something, but then when it comes to sitting down and actually writing it later, that inspiration and ability has seemingly evaporated. INL: You have now run across numerous mountain ranges on different continents, your hair flowingly fluttering through atmospheres to and fro, your battered feet scrambling and sliding in the midst of rocks here and there. What has your trail runner career taught you about travel thus far? How are they related? AK: Travel is all about being open-minded and adaptable. If you have a strict, rigid agenda, not only will you miss out on the whole point of travel—to experience new things and meet new people—but you will inevitably be frustrated because there are too many variables involved in travel to stay in complete control. Accept your lack of control in a foreign environment and be open to arising opportunities and situations. INL: To me, bustling open air markets – stench and all – have stories to tell. Hole-in-the-wall restaurants in some basement serving one thing for three decades have stories to tell. To you, I’m sure each mountain pass has its own story. Which trail or peak tells the best tales for you? What do the mountains tell you? 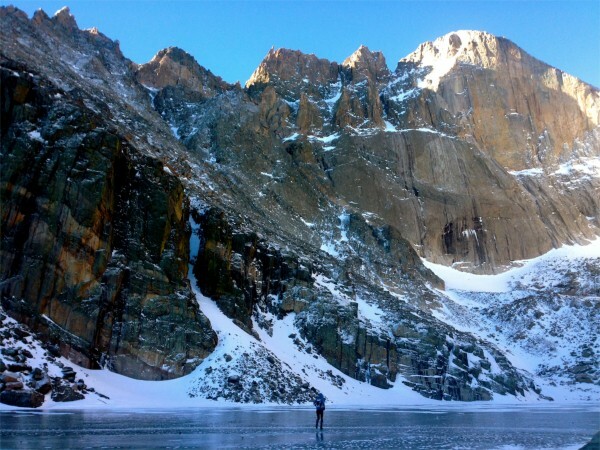 AK: I think my home mountains—the in-town peaks and crags of Boulder and Longs Peak in Rocky Mountain National Park—probably tell me the best tales. Or the most meaningful ones, at least. Because these are the hills I visit the most, I know them best, and my lifetime experience-base in the mountains is most obviously shaped by them. Basically, the mountains give me hints and tips on how to live with intensity and attention. INL: Last but not least, please summarize your life in the mountains – and your trail running – in ten words or less. AK: Curiosity, challenge, discomfort, serenity, and personal growth.